Mild Pork Smoked Sausage $7.29 lb. 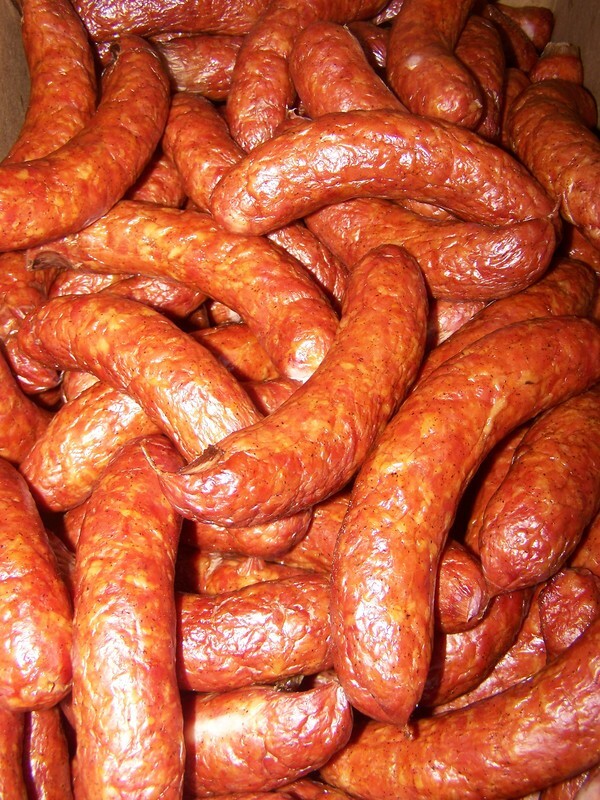 Hot Pork Smoked Sausage $7.29 lb. Green Onion Pork Smoked Sausage $7.39 lb. 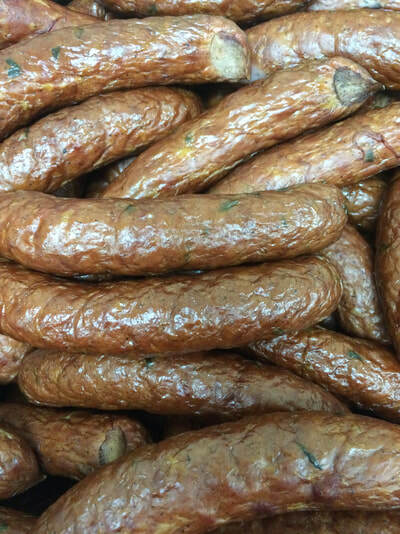 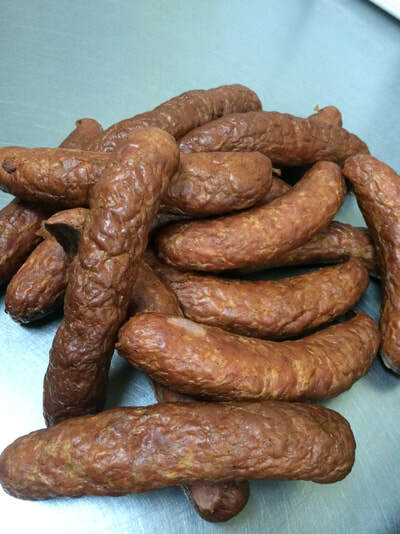 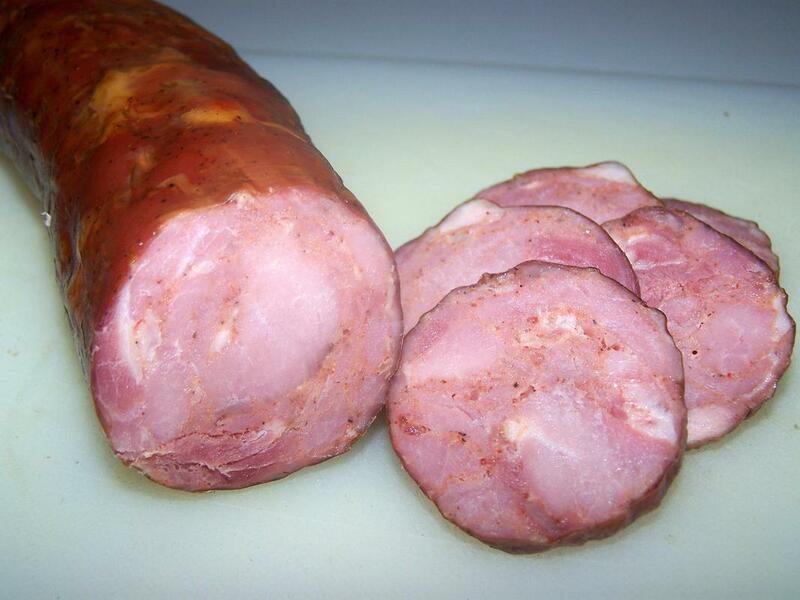 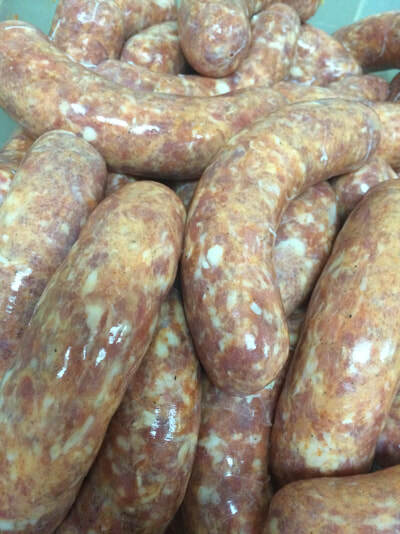 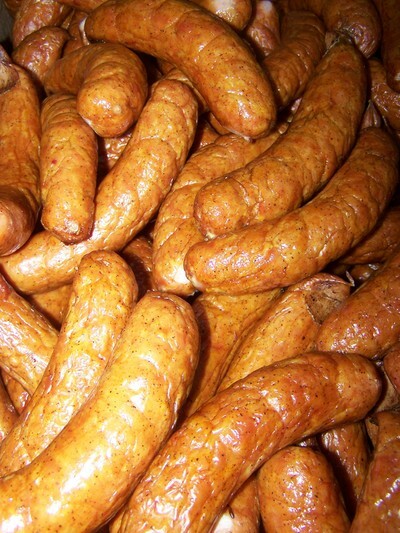 Smoked Jalapeno & Cheddar Pork Sausage $7.49 lb. 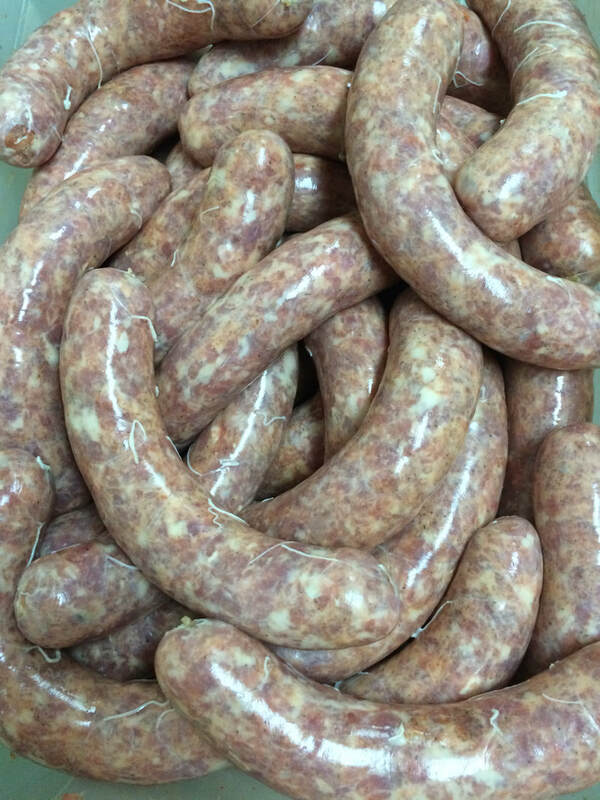 Mild Pork Fresh Sausage $5.99 lb. 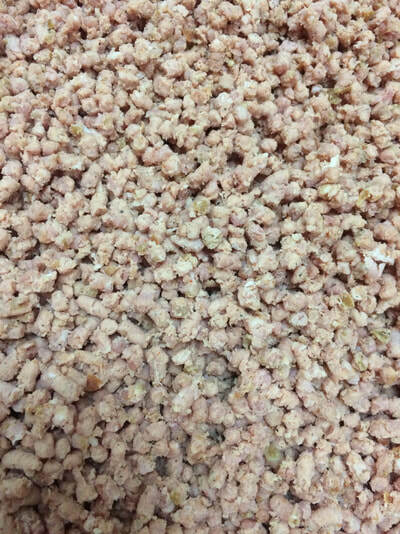 Hot Pork Fresh Sausage $5.99 lb. 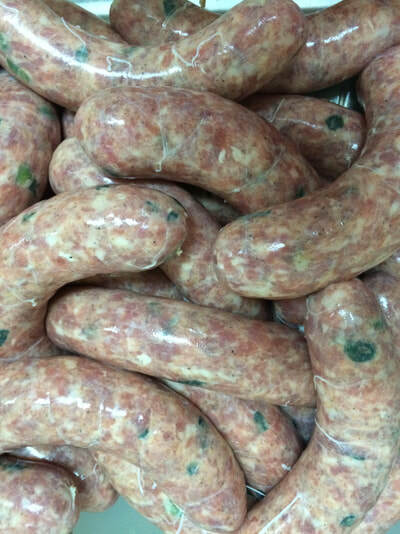 Green Onion Pork Fresh Sausage $6.09 lb. 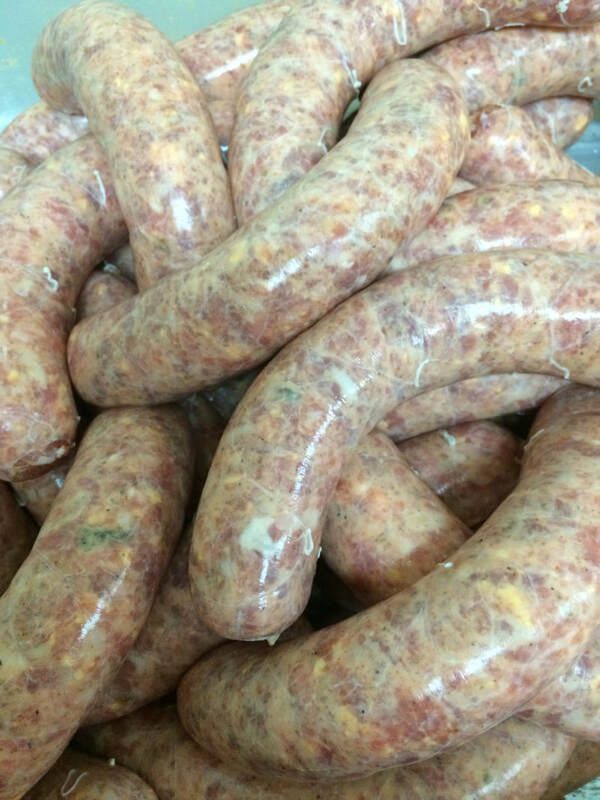 Jalapeno & Cheddar Pork Fresh Sausage $6.19 lb. Chicken Smoked Sausage $7.29 lb. 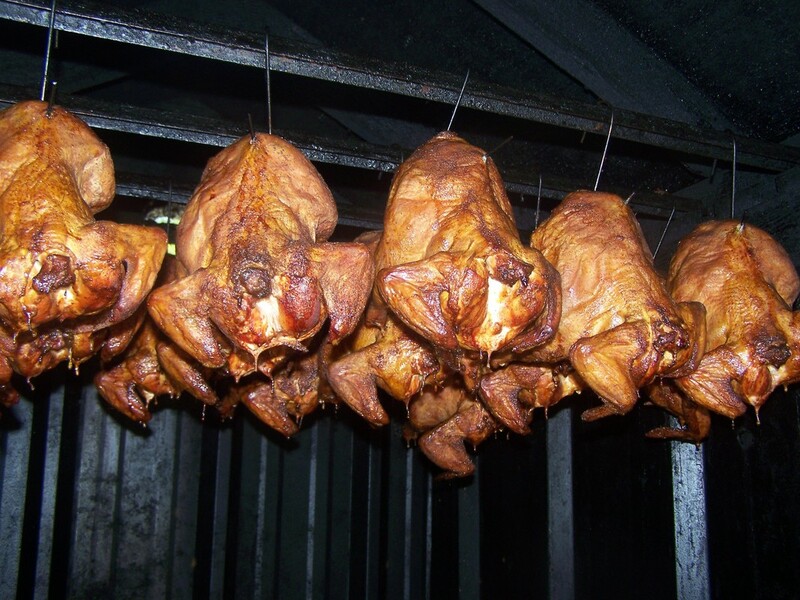 Whole Smoked Chickens $9.29 ea. 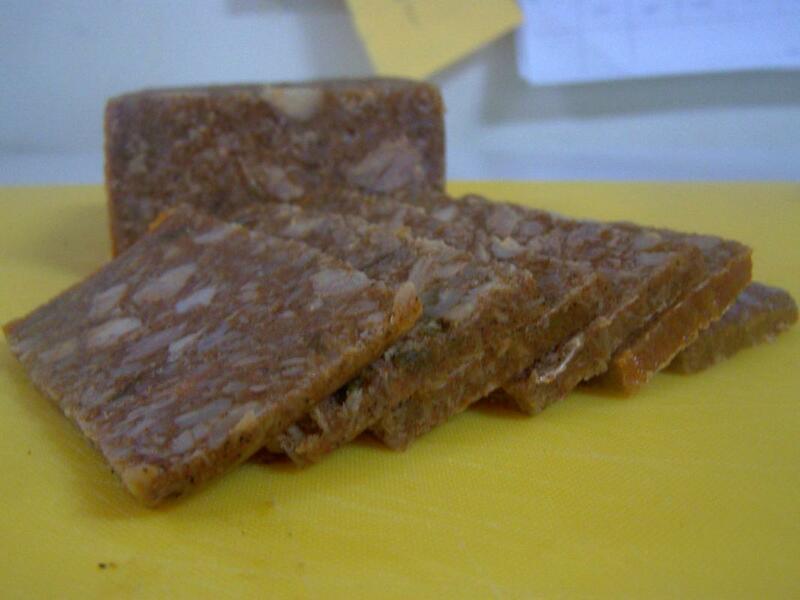 Mild & Hot Hog Head Cheese $6.29 lb. 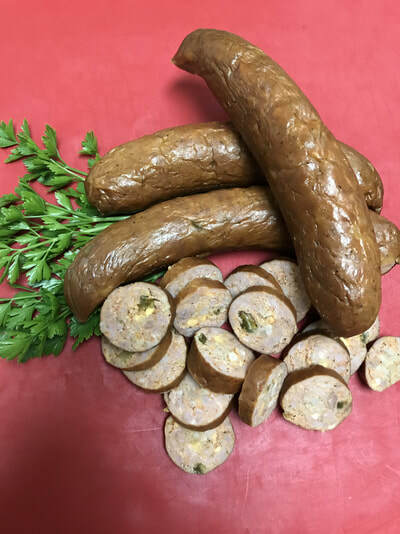 Pork Boudin with Rice $6.19 lb. 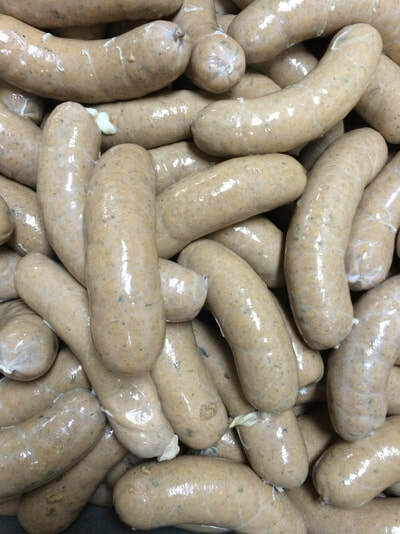 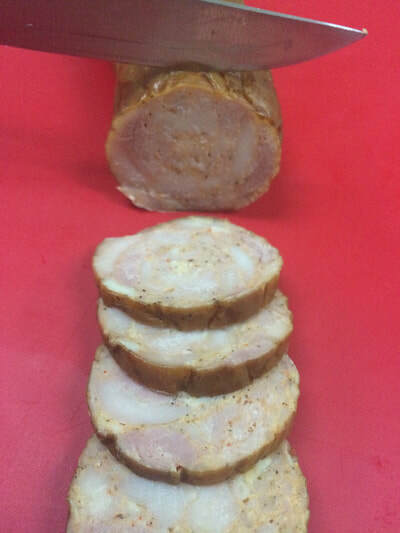 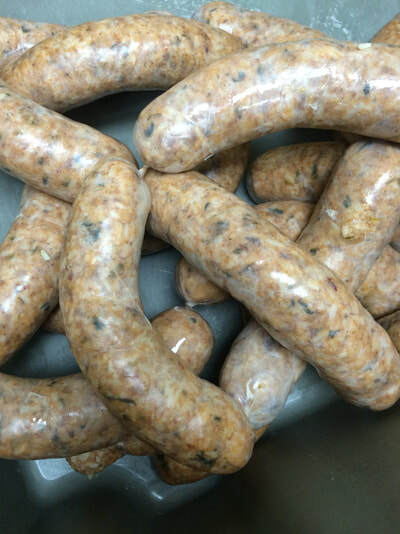 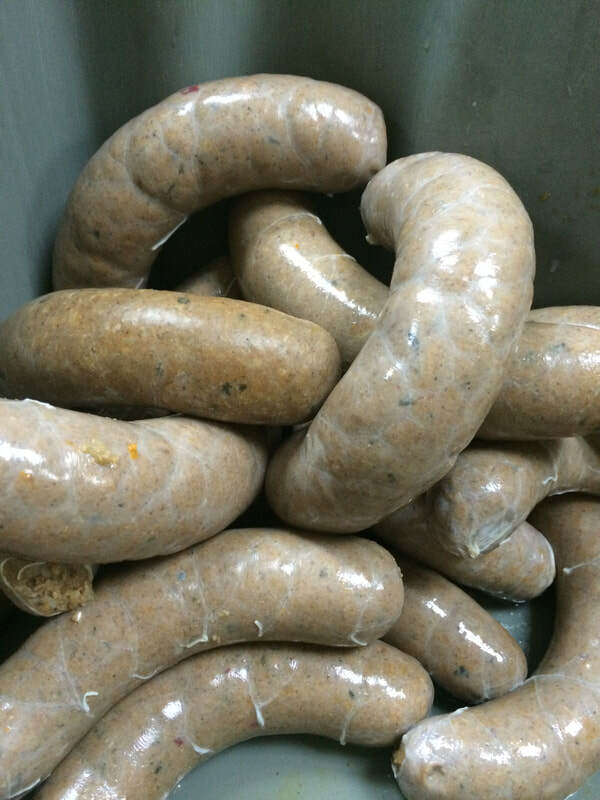 Pork Boudin without Rice $7.19 lb. 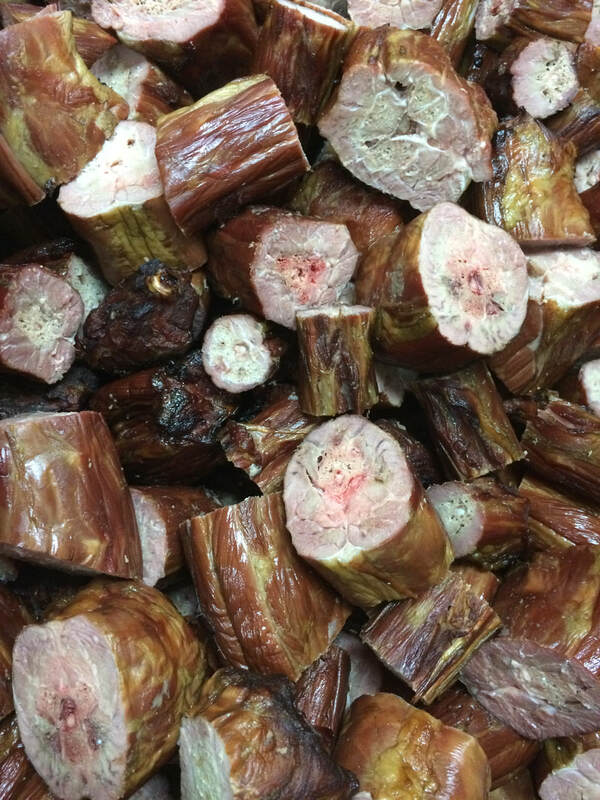 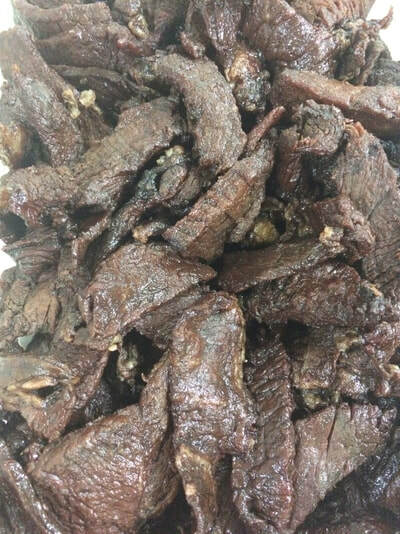 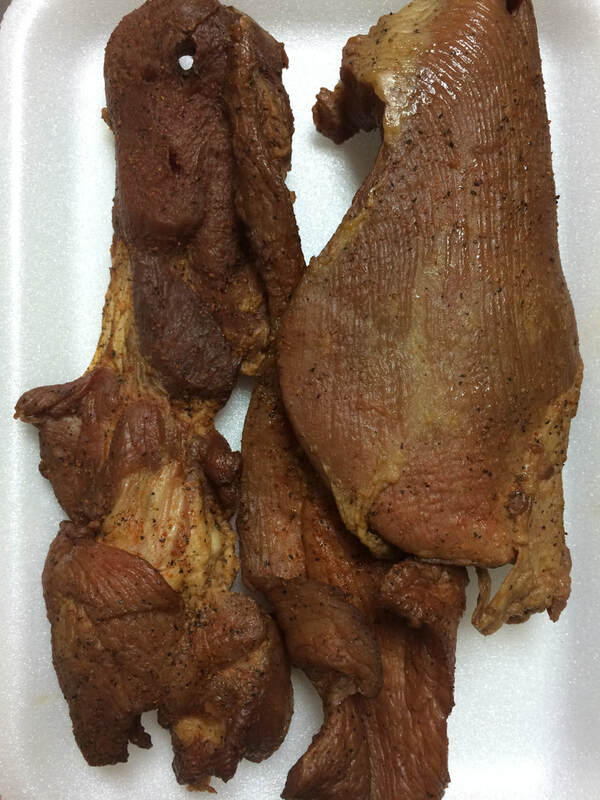 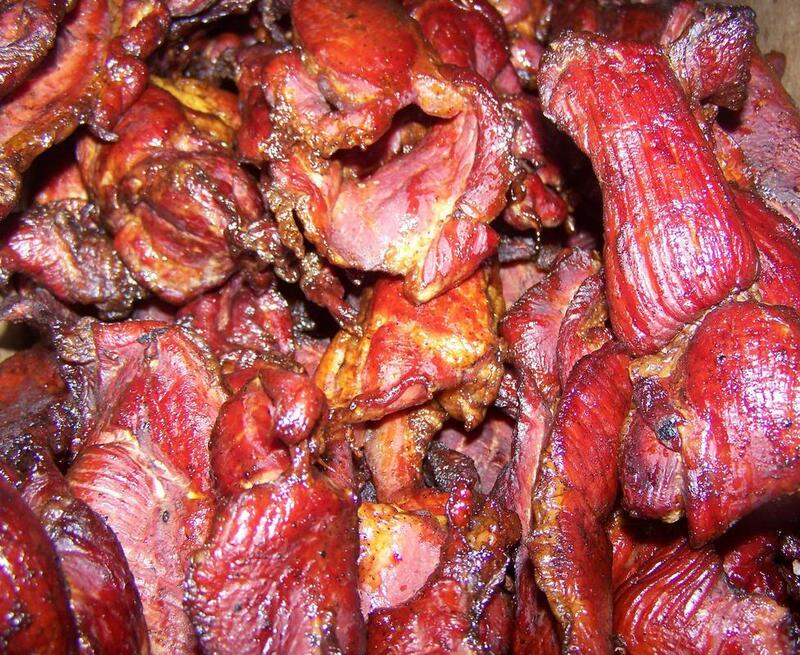 Smoked Turkey Necks $5.49 lb. 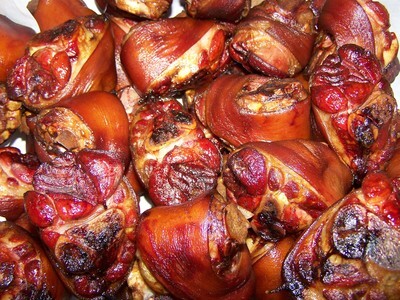 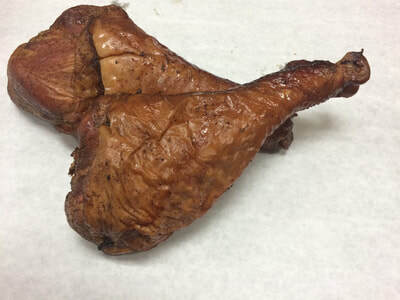 Smoked Ham Hocks $5.29 lb. 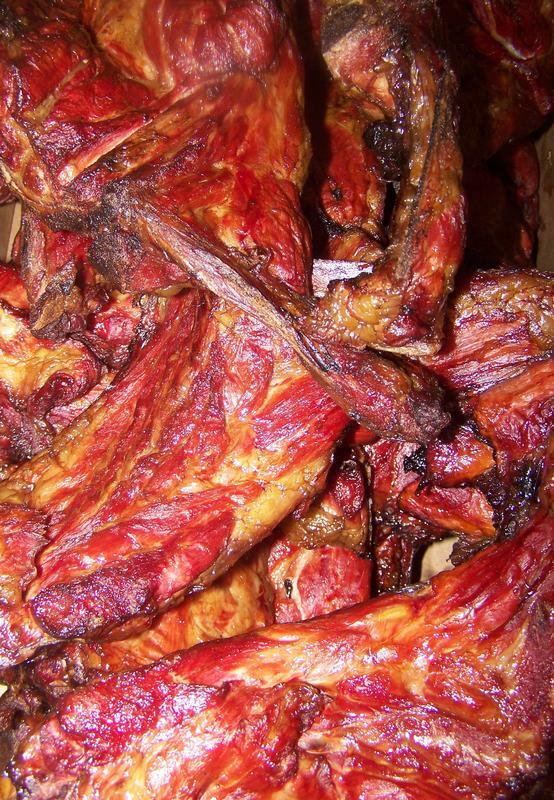 Smoked Pork Neck Bones $4.29 lb. Smoked Pig Tails $6.19 lb. 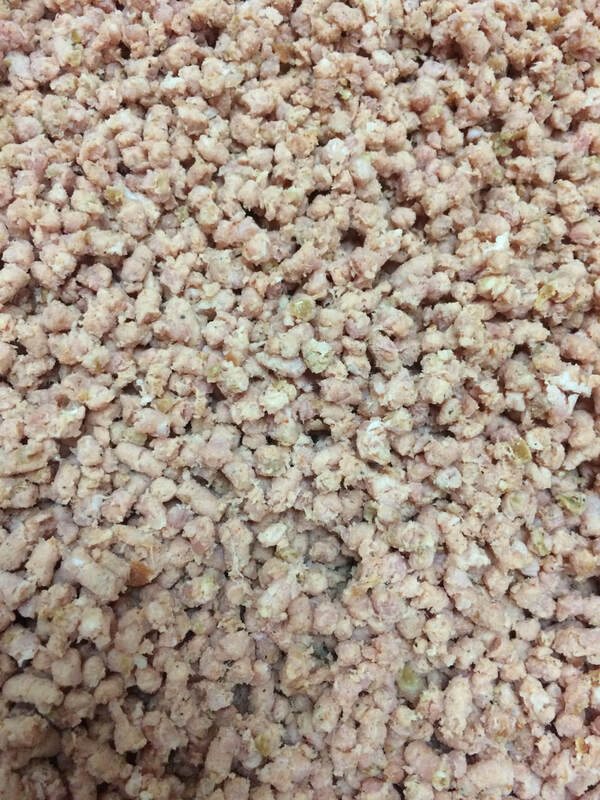 Ground Pork Andouille $8.99 lb. 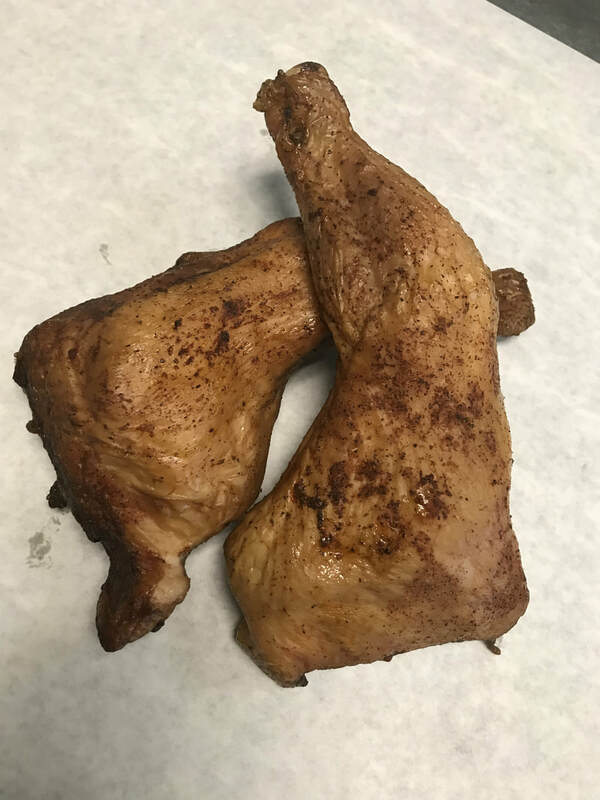 Smoked Chicken Leg Quarters $5.29 lb. 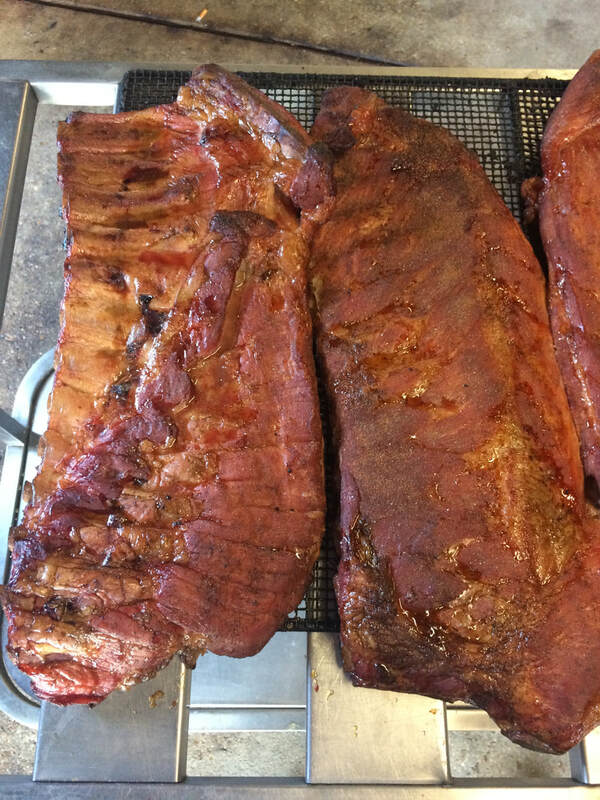 Smoked Pork Spare Ribs $5.89 lb. Smoked Turkey Drumsticks $5.29 lb. 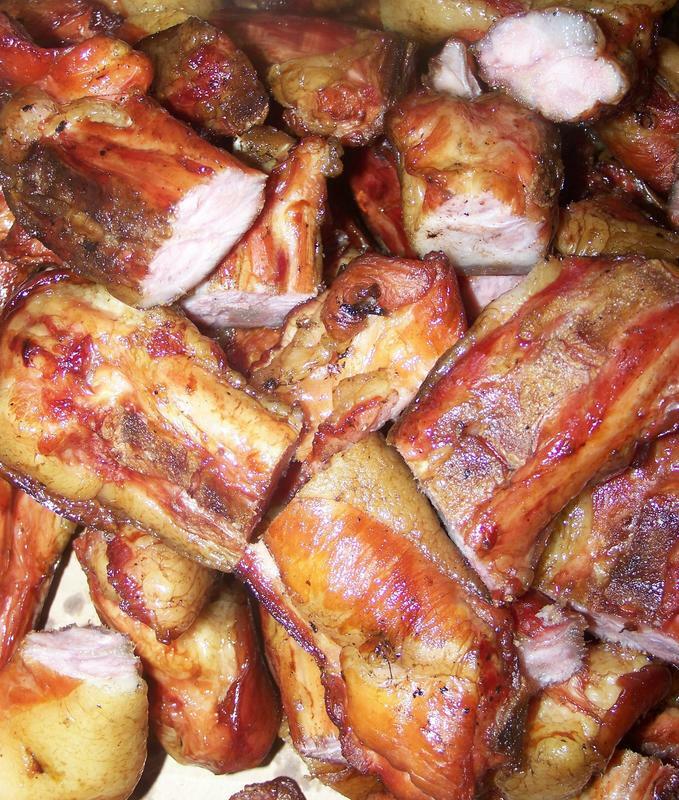 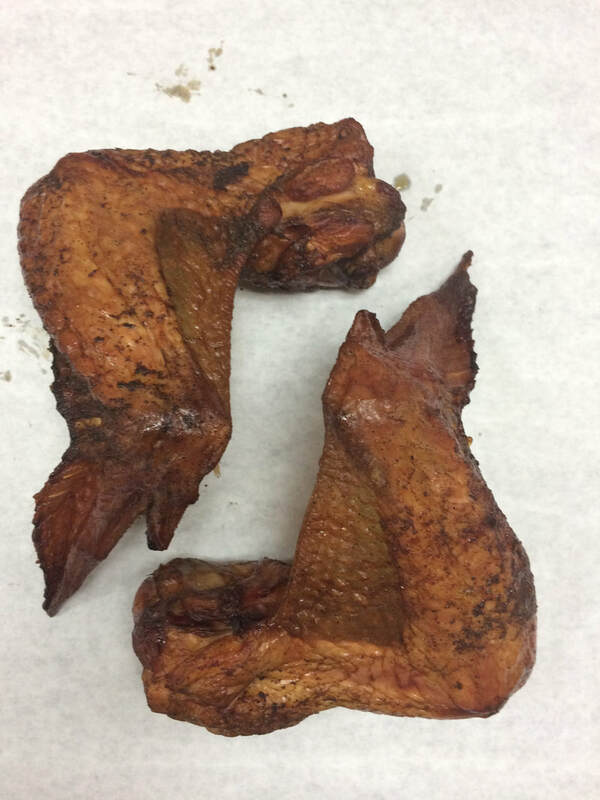 Smoked Turkey Wings $5.29 lb.